We also have with us rich experience in successfully matching up with the demands of Car Scanners that have high usage in Automobile industry. Made available at competitive prices, we can offer these in different specifications as demanded by the customers. These scanners are made available with Operating System – LINUX with Memory of 16M and CF Card of 512M. Further, these are made available with Thermal Mini-Printers as well as 240x320 LCD with touch screen and backlit display screen option. 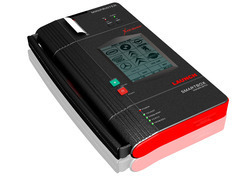 Looking for Car Scanner ?